We are a duet of teenage sisters, makers, and inventors with a passion to combine music and technology to make the world a better place. 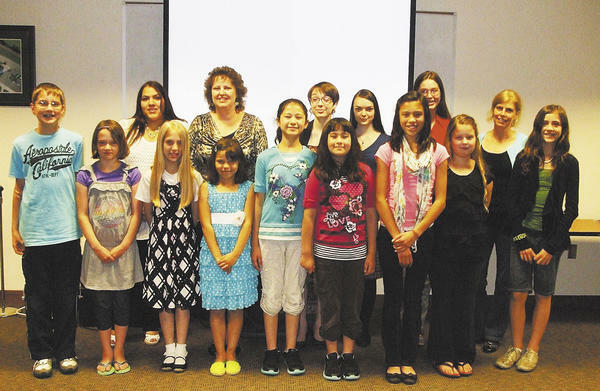 Elizabeth (in the blue, center) and Stephanie (in the red, center) after announcing winners of the Washington County, MD Free Public Library Easy Picture Book Contest (2012?). 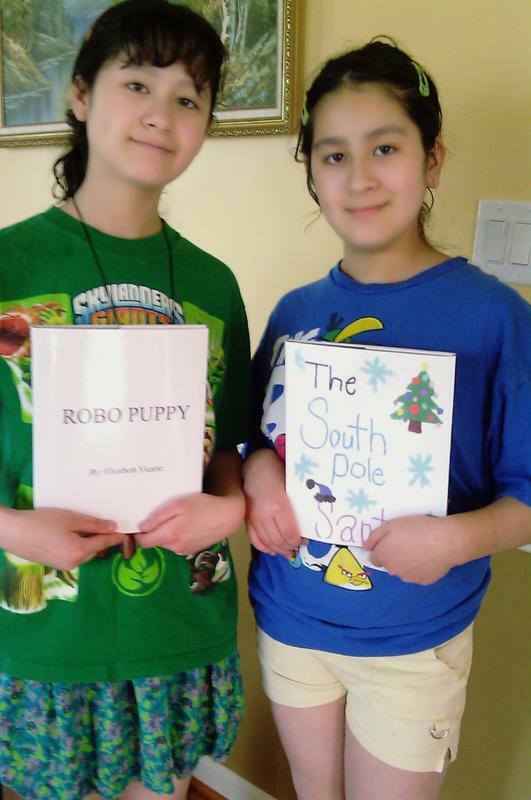 Elizabeth (left) and Stephanie (right) holding up their published books, "Robo Puppy" and "The South Pole Santa", after winning (in their respectable age divisions) the Washington County, MD Free Public Library Easy Picture Book Contest. 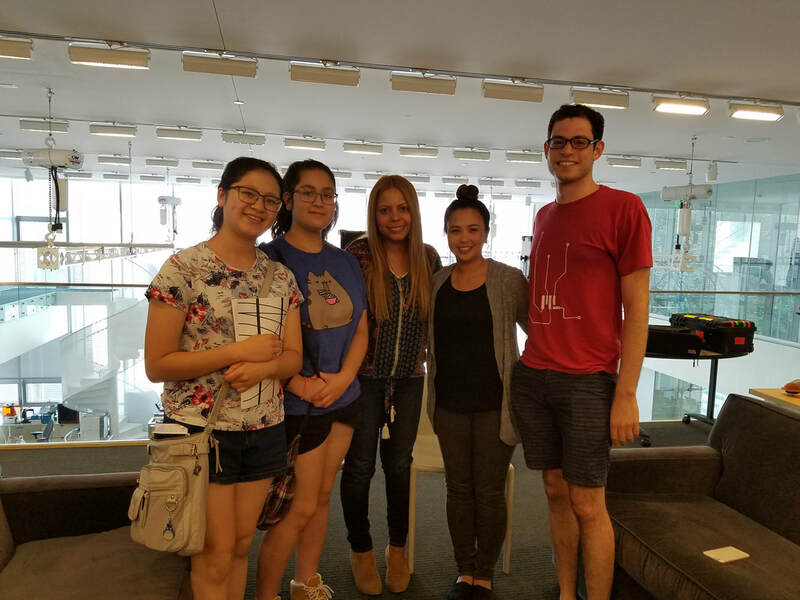 Elizabeth and Stephanie participated in a startup entrepreneurship program in Maryland led by Shahab Kaviani. Elizabeth and Stephanie with their dad at the Programming Dojo. 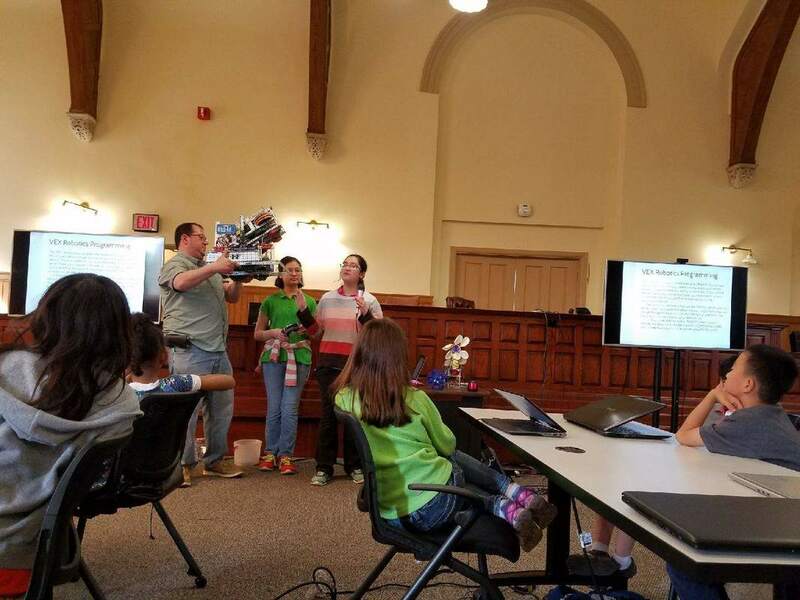 We were invited to talk about our robot and our Nothing But Net VEX experience as well as our Toy 2.0 experience. We have a multicultural heritage: a mix of Asian, Latino, and American. In total, we can understand around 4 languages: English, Japanese, Chinese, and Spanish. 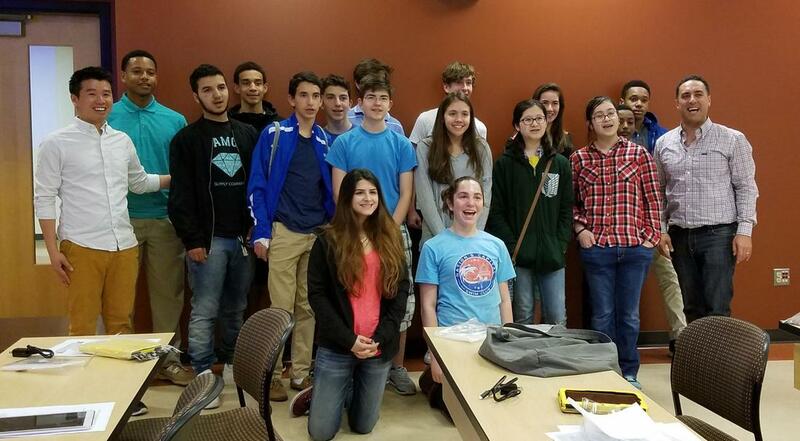 In the summer of 2014 we attended a starting entrepreneur education class lead by Shahab Kaviani. We would spend an hour of the weekend to discuss the essentials of starting a business and ask questions concerning the topic we learning about. After words we sometimes would be assigned homework such as researching how businesses worked, or supply and demand. We would often sometimes have to go out and investigate different stores to observe how they operated. At the end of the classes we presented our own original ideas to a group of judges to show off what we learned and how we applied that to making our own business. Of course the presentation was all hypothetical and we didn't actually create a real working business, but it was still lots of fun and educational!!! Even if we might not become actual entrepreneurs in the future, it was a good learning experience!!! !